Protrac iD. Manufacturer of long range RFID location and alerting systems. Leading the way in manufacture of active ultra long-range RFID and wireless products in Australia. Protrac iD provides fast and convenient hands free automatic access control and vehicle identification for motor vehicles. Protrac iD provides security for a baby or child in the maternity and children’s ward. Our products and engineering expertise are well known for providing a professional outcome for any short or long range RFID solution. Protrac iD manufacture to International Standards, providing an extensive range of RFID tags, readers and systems which are integrated into various O.E.M systems and solutions across Australia, New Zealand, Canada, Dubai, Central and South America, Central and South East Asia, South Africa, U.K and other areas of Europe. Allows you to monitor some or all patients to know when one of them is wandering. Mobile Duress Alarm systems. Control access, security and safety with the 5-in-1 Duress Tag. Provides security for a baby or child in the maternity and children’s ward. for Automatic Vehicle Identification and Hands Free Access Control. RFID solutions for both internal and external Temperature Monitoring. 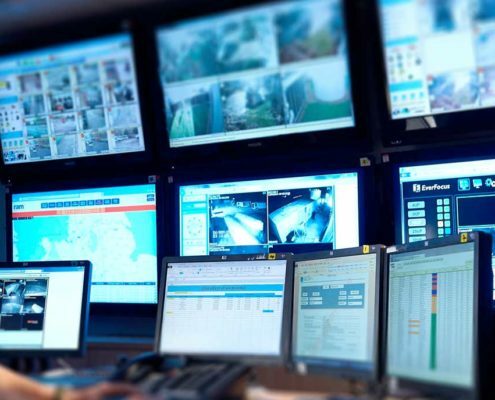 Real Time locating systems including Asset Tracking, Inventory Tracking, Patient Tracking & Call, Employee Tracking and Emergency Evacuation Personnel Tracking & Accountability. RFID solutions for Forklift Alert, Machinery Alert and Pedestrian Alert. RFID solutions for Cleaner/Maintenance Tour Rotation Compliance Recording & Alert and Guard Tour Recording. If we don’t have a tried and tested solution to suit your needs, we will gladly adapt one of our existing solutions, or even design new products. Working with customers and System Integrators world-wide, Protrac iD have engineered and developed innovative and industry leading RFID products and solutions for a wide range of applications within Aged Care, Agriculture, Hospitals, Transport & Cold Chain Logistics, Mining, Parking Control, Universities, OH&S Compliance, Restaurants & Food Preparation and many more. Our products and engineering expertise are well known for providing a professional outcome for any RFID solution. Protrac iD manufacture to International Standards, providing an extensive range of RFID tags, readers and systems which are integrated into various O.E.M systems and solutions across Australia, New Zealand, Canada, Dubai, Central and South America, Central and South East Asia, South Africa, U.K and other areas of Europe. Our products and engineering expertise are well known for providing a professional outcome for any RFID solution. Call us today for a friendly, no obligation chat about your requirements. CDK Electronics Ltd supplies temperature alarm and monitoring systems to some of the worlds most well known supermarkets. Protrac iD helped devise a strategy for remote temperature measurement across 300+ stores in the UK. 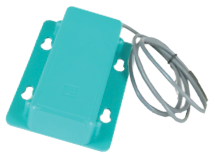 Protrac iD temperature series RFID tags placed in refrigerators or freezers measure temperature while transmitting every 20 seconds to a reader in the ceiling. Protrac iD website gets an update! https://www.protracid.com.au/wp-content/uploads/Security-tracking.jpg 688 1113 rebecca https://protracid.com.au/wp-content/uploads/Protrac-ID-logo-dk.png rebecca2016-11-29 07:18:182016-12-13 03:28:19Protrac iD website gets an update!